Joseph "Joe" Maxwell Dempsie is an English actor, best known for playing the role of Chris Miles in the E4 television show Skins. Dempsie's earlier acting credits include the medical dramas Doctors, Peak Practice and Sweet Medicine, as well as the films One for the Road and Heartlands. He also appeared in Born and Bred and a BBC documentary-drama about Norfolk farmer, Tony Martin. He is currently playing the role of Gendry in the HBO series Game of Thrones and the villainous John/Pollus in the BBC TV series The Fades. In episode 6 of the fourth series of Doctor Who, "The Doctor's Daughter", that aired on 10 May 2008, Dempsie played the character Cline, a soldier who watches his comrades die. In addition to this appearance, he conducted a small interview with Doctor Who Magazine which appears on the final page of issue 396 . On 18 April 2008, Dempsie appeared on Friday Night Project with Geri Halliwell. On 20 July 2008 he appeared at T4 on the beach in Weston Super Mare alongside fellow Skins cast members. He appeared as Duncan McKenzie in 2009's 'The Damned United' alongside Michael Sheen, Jim Broadbent, Stephen Graham and Timothy Spall. Recently he has appeared in the BBC Three series The Fades , as Young Polus/John. 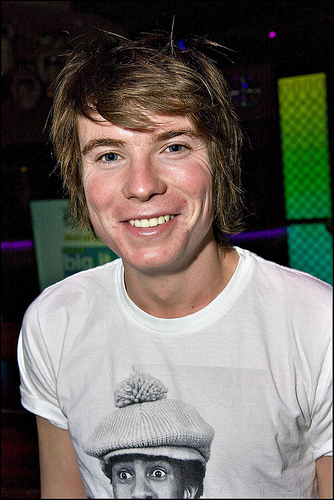 Dempsie left Skins in 2008 at the end of the second series, when his character passed away. Whole or part of the information contained in this card come from the Wikipedia article "Joseph Dempsie", licensed under CC-BY-SA full list of contributors here.